Welcome to month two of the Brave Love Book Club! February is going to be a big month in my life (opening and closing my show, traveling for a theatre festival, and submitting my thesis, AHH! ), and I'm excited to share it with you. Most of all I am excited to dig into this month's book club selection together and get our creative juices flowing! I'm only a few chapters in and I'm loving it already. 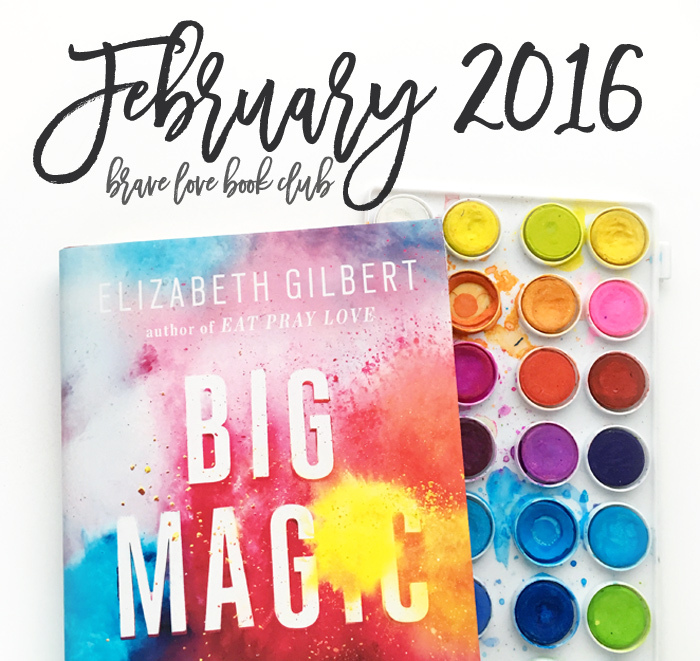 This month we are reading Big Magic by Elizabeth Gilbert. "So this, I believe, is the central question upon which all creative living hinges: Do you have the courage to bring fort the treasures that are hidden within you?" 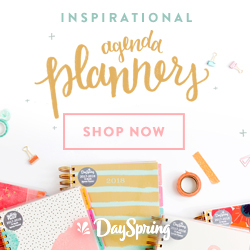 The FIRST Wednesday of each month I will share discussion questions, journaling prompts, extra resources, and Periscope dates for the book of the month. I will also announce the book selection for the following month so you have time to hunt down a good deal or check it out from the library. On the LAST Wednesday of each month we will link up our response/review in blogpost form (feel free to write about the book any time during the month, but this is the day I will host the link up with some added discussion questions for comments)! I will be sharing thoughts and questions throughout the month on my Instagram, so follow along at @baileyjrobert and the hashtag #bravelovebookclub. You may notice a few changes to the schedule. There will be ONE scheduled Periscope next Wednesday. Last month it I was unable to do a second due to some school conflicts. However I want to honor my commitment to y'all and I will schedule one scope for February 10th with potential for more throughout the month. I have also not posted a specific time for said Periscope because my schedule has a tendency to change on a dime. However the broadcasts will be available for 24 hours on Periscope then again on Katch for the rest of the month at least. Below are some questions/ prompts I've come up with to get us started, either journaling, Instagramming, blogging, however you want to respond! Also, feel free to leave your answers in the comments of this post AND to respond to others joining in! How fun would it be to get the convo going here?! What does the creative life mean to you? What does it it bring to mind before you begin your reading and how did it change (if it changed at all) after your reading? What in your life right now allows you to be creative? What hinders you? What worries you about creativity? What are you afraid of? What fears hold you back? What would life look like if you could abandon those fears? 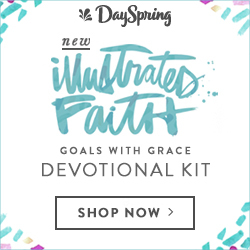 Or how can acknowledging those fears propel you forward into courageous creative living? Like I said, these are starting points to get us going, and I am sure we will come up with more as we read through the book! I am truly so excited to journey with you all through Big Magic this February. I cannot wait to see what the Lord does in our hearts and lives through it! Now let's get to reading, writing, and digging into Big Magic together!